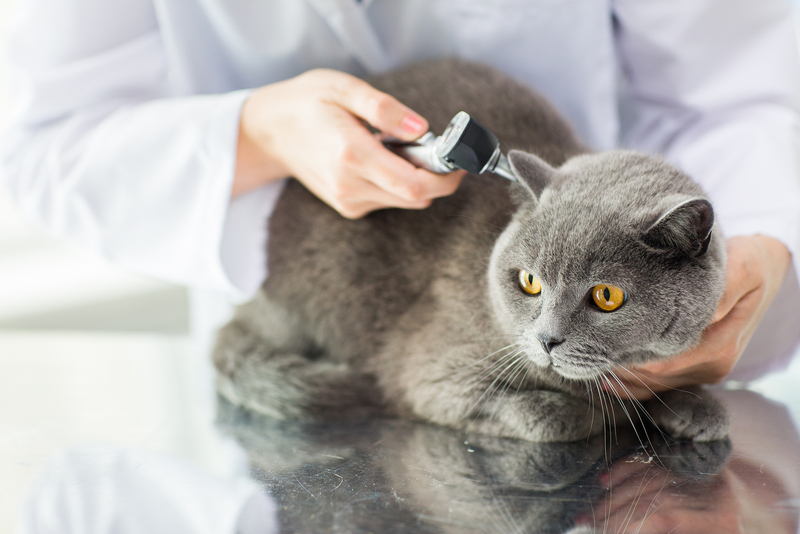 Here at Animal General, our New York City veterinarians treat many pets for a variety of reasons, ranging from dermatitis and diarrhea to chronic halitosis and infected wounds. Our veterinarians are equipped to handle many urgent pet care situations and always treat your pet with the same compassion and care with which they treat their own pets. Dogs and cats suffering a bacterial ear infection will paw and scratch the affected ear, rub the ear against furniture, and shake their head frequently. Advanced ear infections produce foul odors and yellowish discharge. Swelling and inflammation of the external ear are also signs of an ear infection. If left untreated, ear infections may rupture the eardrum due to the accumulation of fluid in the inner ear, causing partial or complete deafness. Recognizing the signs of possible poisoning in dogs and cats is imperative to get them treated as quickly as possible at our NYC animal hospital. If your pet has recently been outside or in your garage and you notice them drooling excessively, vomiting, appearing disoriented and having difficulty breathing, your pet may have ingested a toxic substance. Upon assessing symptoms, our urgent care veterinarians will immediately provide treatment for counteracting the effects of a poisoning by administering charcoal or inducing vomiting. Bleeding from the mouth, disinterest in eating and mouth swelling may indicate your pet has lost a tooth naturally or traumatically. Don't try to inspect your pet's mouth at home. Pets in pain may act aggressively and bite you. Bring your pet to our veterinarians for urgent care if you suspect your pet is suffering a dental emergency. Pets that are repeatedly vomiting or suffering diarrhea for more than 24 hours should be seen by a veterinarian. Untreated gastrointestinal disease, liver/kidney disease or abdominal/intestinal obstructions could cause rapid dehydration, shock, and collapse. In addition to having objects lodged in their esophagus, pets coughing and choking could be suffering from heart failure, severe viral infections, bacterial pneumonia or allergic bronchitis. Diagnosing the cause of choking is necessary before vets can successfully treat coughing or choking episodes. Choking pets should be brought in for urgent care as soon as possible for diagnosis and immediate treatment. Schedule an appointment today or learn more about our pet care services by contacting Animal General. Call our veterinarians in NYC at (212) 501-9600.